Like you, most people use a login password to prevent unauthorized access to the device but it gets really frustrating if you forget or lose the password. It is understandable that you never expected this and did not create a password reset disk. But don’t worry, there are a few ways to get over the Windows 7 home premium lost password issue. The effective methods with the necessary details are discussed below. 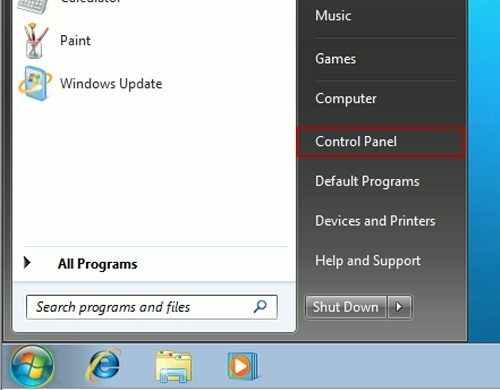 Step 1: Restart your Windows 7 computer, when the login screen about to come on, start pressing F8 continuously. You will enter the Advanced Boot Menu. Step 2: Now, use the Arrow keys choose “Safe Mode” and then press “Enter”. The Laptop will start in Safe Mode. Step 3: In the login page you will see an “Administrator” account, click on it. By default access, this account does not require any password unless you have set one manually. Step 4: After login, go to “Start” and visit “Control Panel”. Step 5: Go to “All Control Panel Items” and then click on “User Accounts”. Step 6: Now, all you have to do is to choose the locked account and click “Change Your Password”. Step 7: Type a new password for that account. The procedure is complete! You have successfully reset Windows 7 Home Premium password in Safe Mode. Now, you will be able to login normally using the new password. Overall, this method is effective but if you have to set a password for the Administrator account manually and if it is lost by any chance, then there is no way you will be able to access your account. In that situation, if you forgot Windows 7 Home Premium password you have to use a professional password recovery program. So, if you are still having trouble with Windows 7 Home Premium password bypass and using the Safe Mode option didn’t work for you then it is time to use a password recovery software. When it comes to Windows password recovery, no program is better than Windows Password Recovery Tool. It is the best password recovery program capable of resetting passwords in a matter of minutes. Even if you are locked out of Administrator account, you will be able to use this program to reset it. First of all, the method has two simple parts. 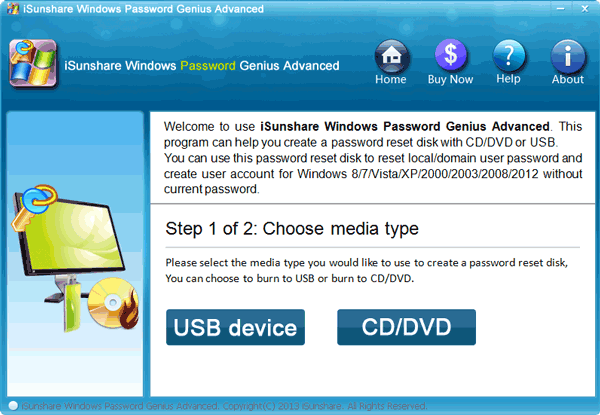 In the first, you will be using another computer to make a password reset with this program and then you will be using that disk to unlock the account. Step 1: Download the program on another computer and then select the UDB drive as the medium from the main interface. Step 2: Then, connect a blank USB drive to the computer and click “Begin Burning”. Step 3: After the burning is finished, you need to close the wizard, so click “OK”, you successfully created a Windows 7 password reset disk. Step 4: Now, connect that USB drive to the locked device and restart it. 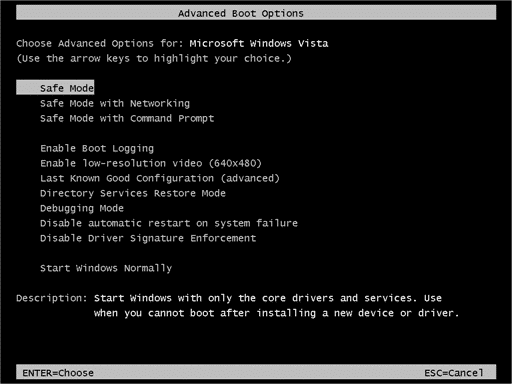 Step 5: Access the Boot Manu by tapping certain keys, and then select the USB drive from the “Boot Menu”. You can use the “Arrow” keys to highlight the option and then press “Enter” to select it. Step 7: Now, the program will load. 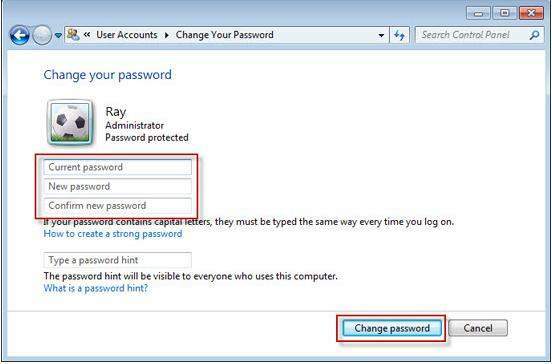 Choose your “Windows System”, then the locked account and finally, click “Reset Password”. Step 8: After the reset is complete, the computer will reboot. 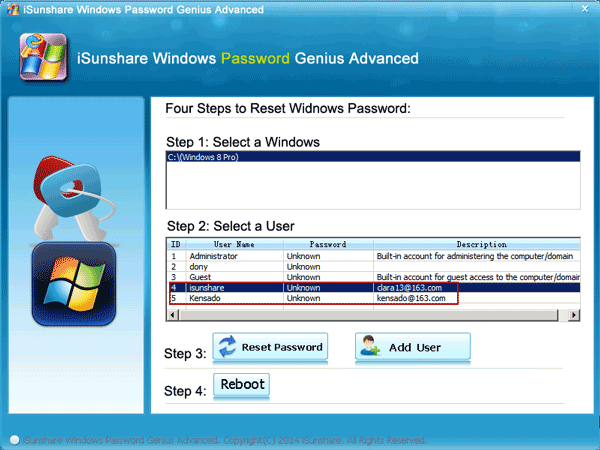 After the device is rebooted, you will be able to unlock Windows 7 password. It is an exceptional program, safe for your files and also very effective. 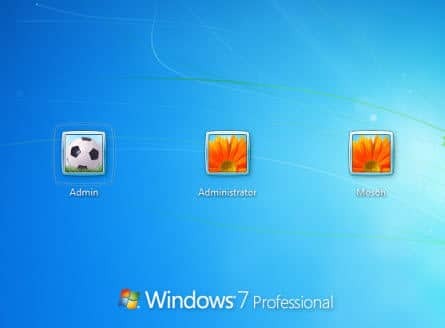 Finally, there is another way to fix Windows 7 Home Premium forgot password. But for this procedure, you will need access to the Windows 7 Home Premium installation disk. The first time users may have some trouble executing the procedure. So, an operational guide id detailed below, for your convenience. Step 1: You need to insert the installation disk in the locked computer and restart. You can also use a USB drive. Step 2: The computer will boot from the USB drive. Now, click “Next” to proceed. Step 3: Click on “Repair Your Computer”. Step 4: Now, you have to wait a few moments, as it will detect the Windows 7 installation files on your computer. When it is detected, it will show the drive where it is installed, note it. 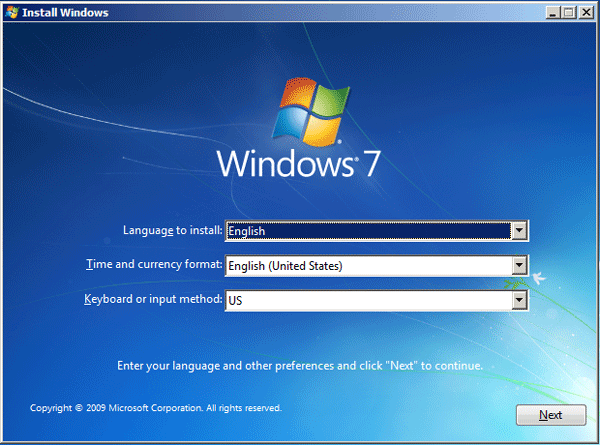 Step 5: Now, choose Windows 7 Home Premium from the list of Windows 7 Operating Systems. Click “Next”. 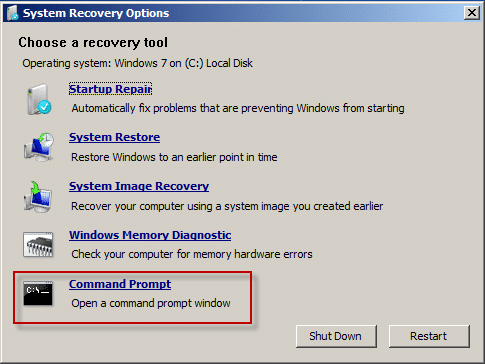 Step 6: The “System Recovery Options” will be available to you, select “Command Prompt”. Step 8: Now, remove the USB drive from the computer and restart it. Step 9: When the login screen appears again, click on the small icon at the bottom left corner and the Command Prompt window will open again. You need to replace “Username” and “newpassword” with your user name and whatever the password you want to set. Step 11: Now, close the Command Prompt window. That’s it, the procedure is complete. Restart the computer and login with your new password, you will face no difficulties. But if you want more solutions, you can also bypass Windows 7 password with command prompt. 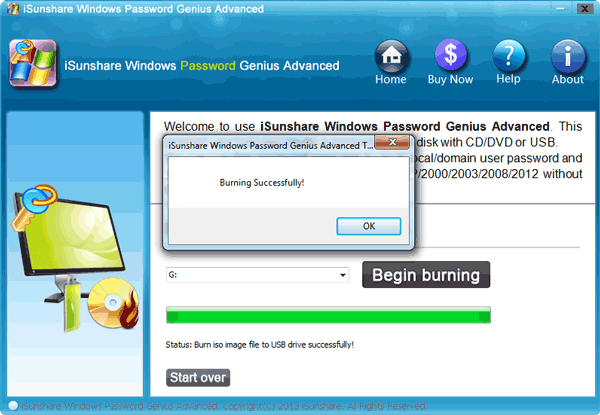 Truly, the methods are very effective to reset Windows 7 home premium password. But the Safe Mode option is not effective against Administrator accounts and use of the installation disk to reset the password is a bit too complicated for the users. So, the best choice would be to use Windows Password Recovery Tool for a safe and effective password reset.